An interview with the director of “Slacker,” “Boyhood,” “Dazed and Confused” and the new comedy “Everybody Wants Some! !” Set in the early 1980s, “Everybody” was inspired by Richard Linklater’s memories of an exhilarating time just before starting college. 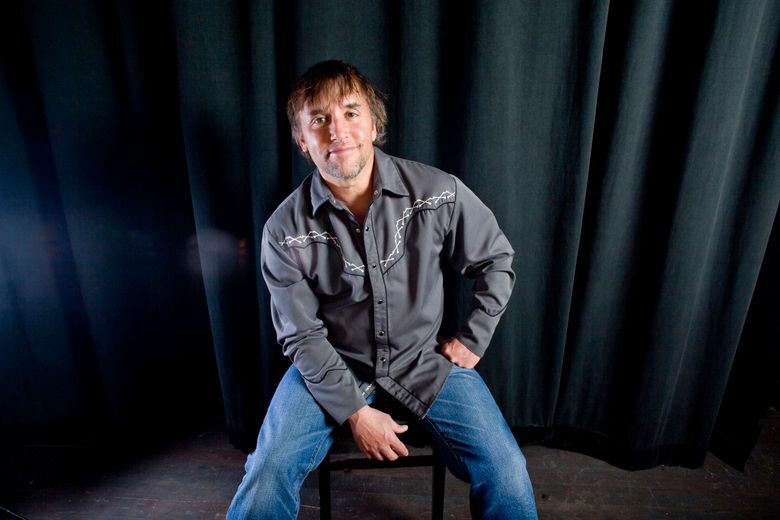 “If I have one gift, it’s very exacting, specific memories of what I’ve experienced,” said Richard Linklater. And he’s poured those memories into many of his movies, particularly “Everybody Wants Some! !,” which opens in theaters Friday (April 8). And also into “Slacker,” an amiably disjointed, shaggy-dog voyage through his hometown of Austin, Texas, which announced the arrival on the world stage of a distinctive new filmmaking talent when it was released in 1991. Linklater brought “Slacker” to the Seattle International Film Festival in 1990 and wound up putting a quote from then-Seattle Times critic John Hartl on the movie’s poster when it went into commercial release. “ ‘Twin Peaks’ has nothing on this place,” Hartl opined, pithily encapsulating the weirdness of the Austin shown in the picture. Well, Mr. Sculptor Guy, how so? Set in 1976 in a Texas suburb, “Dazed” chronicles an eventful 24 hours of the last day of high-school classes and a long night of beer- and drug-fueled partying that follows. Linklater graduated from high school in a Houston suburb that year, and the events on screen reflect what that wild time was like. Where “Dazed” is all about the ’70s, “Everybody” is all about the early ’80s, and it tracks Linklater’s experiences in that era even more closely that its predecessor. He acknowledges that the two movies are quite different in tone. There’s a harshness threaded through “Dazed and Confused,” particularly in scenes showing the vicious way a senior, played by Ben Affleck, mocks and brutalizes incoming freshmen. “That behavior comes out of frustration, of being confined and oppressed and you’re stuck at home, you’re stuck at school,” Linklater said. “You’re there by choice. You’re being treated like an adult, even though you’re still a kid. You’re given freedom in the world for the first time. And most important: “No one is going to tell you to turn down your stereo. “Everybody’s” main character, Jake, is an incoming member of a Texas college baseball team. He’s one of 18 teammates living off-campus in two funky houses. The mood, the attitude, the crowding: All of it is drawn from Linklater’s life. “I went off to college on a baseball scholarship,” said Linklater, who arrived as a freshman in 1979. He left school in the spring of 1981 and went to work on an offshore oil rig in the Gulf of Mexico. The specificity of his college memories is reflected in the look of the house where lead-character Jake lives with seven roommates — as did Linklater. With discouraged-looking furniture and stained wallpaper, there’s a generally seedy, yet comfortable-looking, ambience to the place. If you’ve been to college and lived off-campus at some point, chances are it was in a house like that. And then there is the music. Jake lugs his precious record collection into the house in a plastic milk crate (a very specific detail that evokes the times), and his roommates judgmentally look it over to learn what kind of guy he is. By your music will you be defined. “This one begins where ‘Boyhood’ ends,” Linklater said. “Boyhood” concludes with the main character on the brink of attending college. And “Everybody” is all about the start of college, although the two movies have no characters in common. Even today, the success of “Boyhood” surprises him.